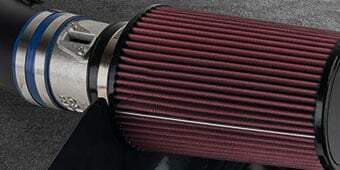 Please select options for Airaid MXP Series Cold Air Intake w/ SynthaFlow Oiled Filter (11-14 GT) at the top of this page. Increase Horsepower and Torque. 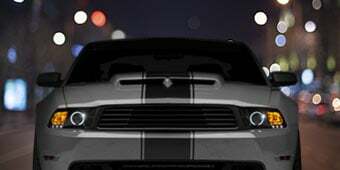 Airaid Cold Air Intake Systems are computer designed to give your engine maximum air flow, which translates to more horsepower, torque and better fuel efficiency. This Airaid CAI kit completely replaces your 2011-2014 GT Mustangs restrictive factory air box and paper filter element with a high flow Airaid filter assembly for an increase of 36 more horsepower and 62 more torque at the rear wheels. No Tune Required. 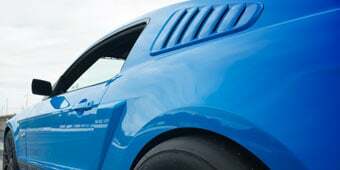 Unlike other Cold Air Intakes on the market for the 2011-2014 GT Mustangs, the Airaid CAI does not require a computer re-tune when installed with the included "Modular Venturi Tube". The Modular Venturi Tube (MVT) can be removed for off-road use when combined with a custom tune. By utilizing state of the art computer-aided designs, Airaid Intake Systems offer unmatched fit, finish, and power! Superior Filtration. Each cold air intake provides superior air filtration, since it includes an Airaid Premium Filter with SynthaFlow® technology. SynthaFlow® is a synthetic nano-fiber material that traps the smallest dirt particles that ordinary cotton-gauze "performance" filters just can't capture. Airaid Premium Filters, with SynthaFlow® can capture particulates down to 2 microns in size. Best of all, Premium Filters are washable and re-usable saving you money. Application. This Airaid Cold Air Intake System is specifically designed to fit the 2011-2014 5.0L GT Mustangs and does not require re-tuning the vehicles computer when installed with the included "Modular Venturi Tube." Not Compatible with the Boss 302 Intake Manifold. will a cold air intake void my ford warranty? i still have a warranty on my 2011 mustang, will a cai void that warranty? I've had some dealerships say yes and some say no, its all depending on if that dealership is mod friendly. More than likely the cai will not void warranty unless you lean out the motor. Cleaning the synthaflow filter Do you have to clean the filter, and if so, what do you use, and how? You can use the Airaid Filter Recharge Kit to clean your air filter. Check out the link below for more details! AM has cleaning kit for sale. Instruction on how to use cleaning kit is on the website as well. is this CAI california CARB legal? No it is not C.A.R.B legal. I contacted Airaid and they told me to pass smog the original intake needs to be in place. How many Horsepower can you gain without a tune ?? 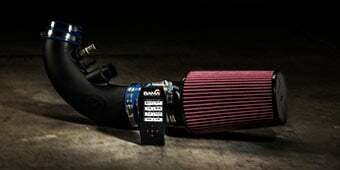 The Airaid MXP Series Cold Air Intake without a tune will add about +11 HP and +11 TQ to the 11'-14' Mustang GT. This Airaid Cold Air Intake System is specifically designed to fit the 2011-2014 5.0L GT Mustangs and does not require re-tuning the vehicles computer when installed with the included "Modular Venturi Tube." The Airaid MXP Series Cold Air Intake will not trigger a check engine light when installed correctly. 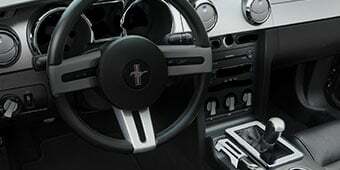 Unlike other Cold Air Intakes on the market for the 2011-2014 GT Mustangs, the Airaid CAI does not require a computer re-tune when installed with the included "Modular Venturi Tube"
With the Modualr Venturi Tube installed this will not require any tune but you can get this tuned later on. 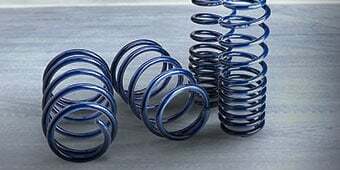 In addition this will indeed fit on a stock 2012 GT. This should cause no issues with your Check Engine Light, and no tune is requried so long as the Modular Venturi Tube is installed. The Airaid MXP Series Cold Air Intake will not require a tune if you install the venturi tube. If the tube is taken out, you will need to request a new custom tune. The Airaid MXP Series Cold Air Intake can utilize the OEM sound tube, or you can install the included sound tube delete cap. The Airaid MXP Series Cold Air Intake should have no issues being installed with the BBK 85MM Throttle Body. 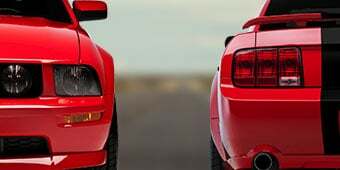 The coupler may be slightly harder to install on the throttle body because if the size difference but you should have no needed modifications during installation of the two items. The intake will be protected from moisture by the hood and will not require a cover or pre-filter. A pre-filter would certainly help with high humidity conditions and will add an additional layer of filtration, but it is not required. Hello! 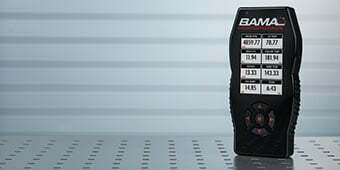 The Bama tuner will work fine if you have the Airaid Cold Air Intake already installed. 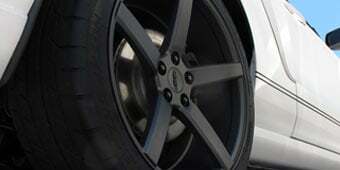 This will be able to fit on the 2012 Boss 302 and the estimated gains will vary depending on a lot of factors. The ballpark figures are around 36 RWHP and 62 RWTQ depending on a tune and other mods. You can contact the manufacturer upon purchase for that rain shield. more air is what it needed . changed the sound of the exhaust for the better cant give a performance gain .car hasn't been out of the garage yet sunny day driver . Love it breathing better and changed the sound at the exhaust. Friends noticed the difference immediately. WOW, I was surprised by how much this changes the tone of the car. My GT is mostly stock but after installing this CAI the exhaust is a lot more throaty and beefier. Its awesome. I can hear the engine sucking in air like a frikin dragon! The performance difference with a 93 octane tune is defiantly noticeable and the throttle response is very welcomed. Well worth the buy. I would strongly recommend lurkers get a tune as well. Installation was super easy. The prep was bit of a trial if you haven't done this before but not insane. The grommets are a bit of work to fit into the holes.I prepped the assembly the night before in my house. and did the removal and install the next day after work. stress free. Also if you have the strut bar you'll have to remove that as well. I was always skeptical about cold air intakes and power gains...but man was I wrong. Paired with a Bama tune it feels like another 20-30 HP added. Can highly recommend this product. Install was a breeze,looks and sounds great. Feel the little hp it added along with a Lund tune. I’m happy? Must admit that the cost of a CAI vs. what I thought I'd get out of it didn't seem practical. Boy was I wrong. My 2013 Mustang GT along with a Bama tune (93octane race) now has more giddyup than I'll ever use. High end, low end and everything in-between. Can't say how this performs without a tune however. Also, our cars must pass an emissions test every 2 years. A nice feature of this CAI is that I can simply install the venturi sleeve, put my stock tune back on, pass the test, then remove the sleeve and re-tune. I WAS considering a throttle body and intake manifold but I see no need unless I want a 1/4 mile dragster (which I don't). Well worth the money. Kit came with decent instructions ( You can find some better instructions on their website! ) Quick and easy install, can take longer if you don't know what you're doing. Happy with the results, immediately noticeable difference from the stock airbox ( Is not choking out your intake like stock ). Great product! Great quality! Would recommend to anyone trying to get some hp gains. I didn’t notice any power gains but it looks really good and made the engine noise much louder than I thought it would. Amazing with insert left in!!!! I have had zero issues with performance of car with the air-restrictor left in. Performance difference is minute, however, the swoosh from the intake and the knowledge of more air being inhaled is enough for me. Once I am ready to open up my engine for more mods, I will be happy to remove restrictor and get it tuned. Fantastic for a guy/girl looking to add a little knowing more to come is down the road! The Airaid 1 Cold air intake was easy to install. Good directions to follow. It made the performance of my 2013 Mustang GT so much better. I would recommend this product to anybody that would want to upgrade their air intake. Great product, easy install, no tune needed. Not much of a sound difference that I can hear but she definitely has more torque. Happy with this purchase and the best bang for the buck. I was very pleased with this intake. Could definitely feel a difference in power gain and smoothness. I recommend getting a tune, because you can feel the full power it added. The install was relatively easy, a couple confusing bits but nothing too difficult. Also for those of you wondering YES it whistles! East install. Only one small set back. The water sheild screws are too short to install. Overall product increased my MPG and notice a lil more get up. I wanted to purchase this AIRAID CAI for a long time now. I finally was in a situation in which I could purchase it. The great benefits of this CAI are that it makes the car sounds better, increases horsepower, and the throttle is much more sensitive. I felt a huge difference after putting in this CAI. The car breaths better and the overall performance is great! Not to mention it also looks great underneath the hood. There are some negatives, but not with the CAI itself. The first one was that the instructions and pictures looked like they were printed in the 1800s. You can barely see the pictures. The second negative which really bothered me was that they did not include the modular tube. I installed the CAI with my friend and then realized that they did not give me the air restrictor. I got onto the live chat and they told me that they will send it out. I expected them to overnight it because it was their fault. But instead, it took 2 weeks and my car drove without the restrictor for that long. When I finally did get the box, they had sent me the wrong part. Instead of the modular tube, I just got the CAI tube. So for a month now I have been driving without the modular tube or tune. I am not experiencing any problems so far with it. But I highly recommend you check whats in the box before you start installing it. 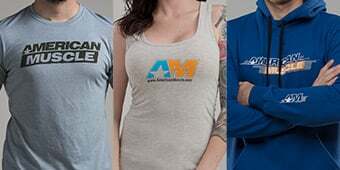 I expected American Muscle to send me everything.. I thought wrong.